Posted by Stuart Herbert on April 16th, 2013 in Desktop Wallpaper, Travel Photography. My current theme is Snowdonia in the Snow at Easter, with guest photos by Mrs H! 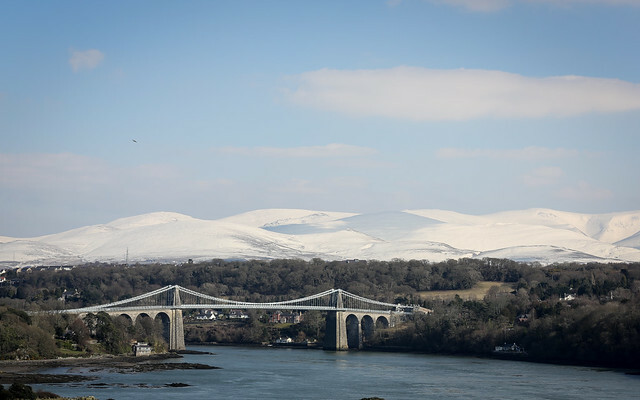 The Menai Straight is a body of water that separates the Isle of Anglesey from the mainland of North Wales. 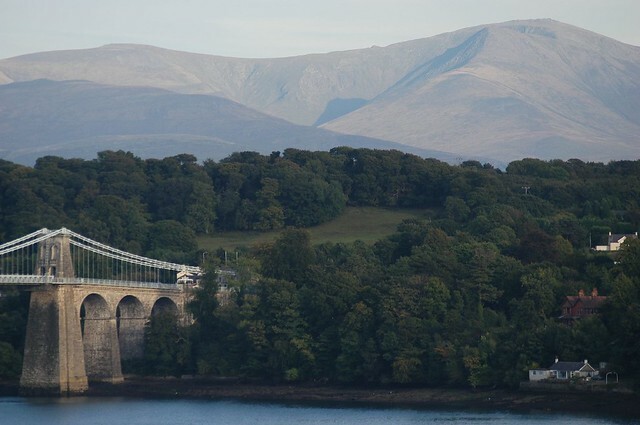 It’s spanned by two bridges: the Britannia Bridge (which we’ll see in a couple of weeks’ time), and Telford’s Menai Suspension Bridge. In the background are the mountains of Snowdonia, shivering in an unseasonal heavy fall of snow. I’ve tried my hand at this shot before, back in 2003 with the Nikon D100. Things did look a lot warmer back then!